Beautiful Aries birthday card! Shows a mystical sanctuary under a starry sky, with the Aries constellation appearing overhead. Card measures 5x7 and has a glossy cover; comes with white linen envelope. 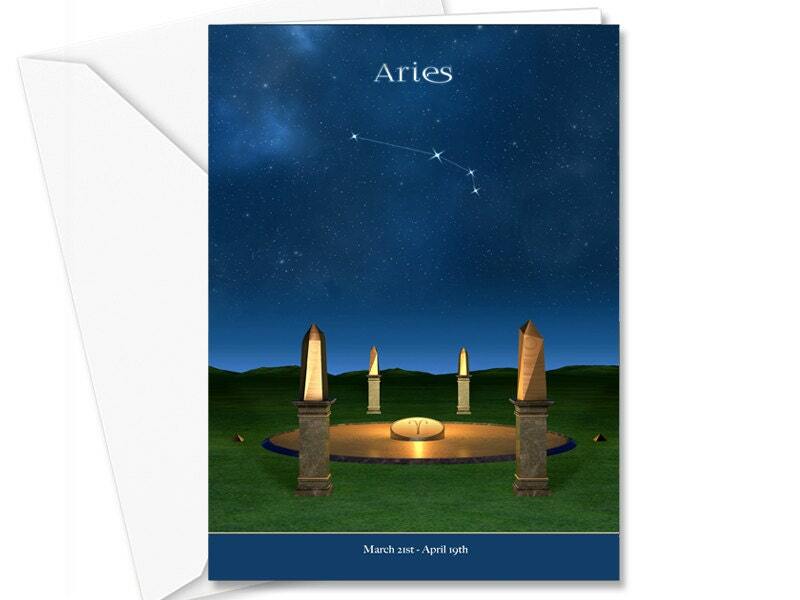 Beautiful birthday card for the Aries in your life!